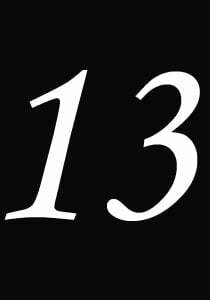 There are many tips that I can give you which will help you have a successful chapter 13 case or at least the most success possible under your circumstances. The biggest tip that I can give you however, is to go on payroll control for your chapter 13 trustee payments. Payroll control is where the amount required for your chapter 13 gets deducted directly out of your pay. This means that you do not have the ability to make the payment on your own. You are basically giving up a certain amount of control whereby your chapter 13 plan payment is taken directly out of your pay and transferred over to your chapter 13 trustee. Studies have found to an overwhelmingly extent that those who are on payroll control have a greater likelihood of success with their chapter 13 case. I tell my clients that as long as you stay working, when you are on payroll control, you are not going to be facing a motion to dismiss from the trustee for failure to make plan payments. It simply is not going to happen provided you continued to stay employed. Another tip that is often overlooked for a successful chapter 13 is to work on your budget immediately before filing. What I’m saying is to look at your income and your expenses before you actually file the chapter 13 case. Look at where you can trim some of your expenses. Look at where you can cut back on some of the things you spend money on such as entertainment, food, travel, cell phone, cable TV and any other non-necessity that you see as simply a luxury that you don’t want to live without. Once you’re Chapter 13 bankruptcy case is filed, if you make minor adjustments to your budget, you will see that you will have more disposable income per month then is mandated by the trustee for your chapter 13 plan payment. It is always a great idea to have available money per month on top of what you are paying to the chapter 13 trustee. By making minor or major adjustments to your budget just before filing, you can ensure that you’re going to have available money to make your case work. The final tip for a successful Chapter 13 bankruptcy case is to take quick, corrective action if you find yourself slipping. What often happens in a chapter 13 is that the debtor will fall behind with a trustee payment or post-petition mortgage payment or other payment. If you do not take decisive, corrective action, you will be facing either a motion to dismiss by the trustee or a motion to modify the automatic stay by a creditor. What I mean by decisive action is to act immediately as the problem is happening. If you are falling behind with the trustee, then you need to make budget adjustments or seek assistance from someone who can get you back up to speed. If you are falling behind on your household expenses after filing, then you need to find other ways to either cut those expenses or bring in additional revenue to make it happen. In some cases, you can contact your attorney who may be able to go back into court on a motion to modify the plan. It may turn out that you are making less money now than when you originally filed your case. You also might have higher expenses now than when you originally filed your case. By contacting your bankruptcy attorney early in the process, you have a greater likelihood that your attorney can seek some sort of relief for you through the court. If you simply overlook it or fail to cry out for help, your case will likely be dismissed or the automatic stay will be modified. As you can see, there are numerous ways or tips to have a successful chapter 13 bankruptcy case. The three tips that I illustrated above I have found to be the most successful for my clients over my 23 years of bankruptcy practice. If you are someone who is struggling with debt and are considering chapter 13 as an option, please contact my office at 847-520-8100. My office in Westchester, Illinois just recently opened and is available for consultations on Tuesdays and Thursdays during the week.